The Leopard or Flecked Marsh-orchid is a special feature of The Burren in County Clare in Ireland, where it is very localised but can occur in reasonable numbers. This tall and robust-looking orchid is a subspecies of the Early Marsh-orchid Dactylorhiza incarnata, the other four being subsp. incarnata, coccinea, pulchella and ochroleuca. Some European authors regard the Leopard Orchid as an entirely separate species Dactylorhiza cruenta. Unlike Dactylorhiza incarnata subsp. incarnata, the Leopard Orchid has spotted leaves, and it is the spots on the leaves that set it aside from other spotted marsh-orchids: they are long and narrow and sharply pointed. 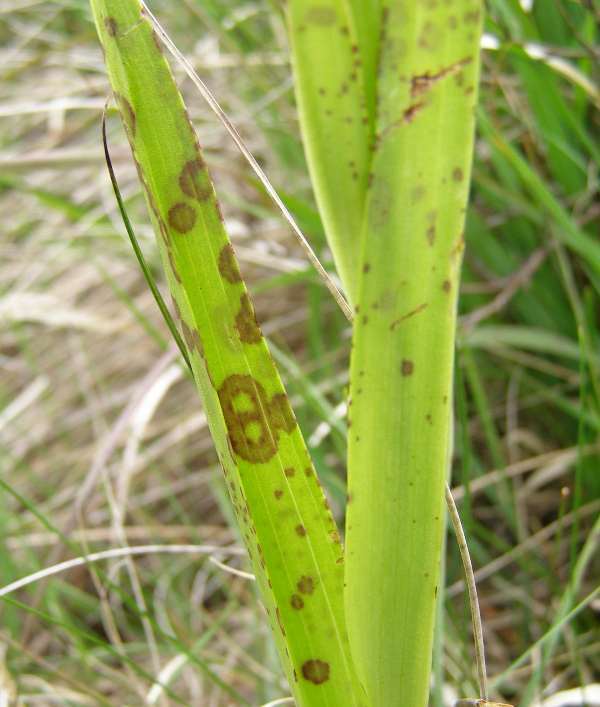 The leaf-markings consist of spots and rings and become denser towards the tips of the leaves, sometimes merging into much larger, dark areas. The markings are darker on the upper side of the leaves than on the underneath. Leopard Orchid flowerheads are much more lax than in the other Dactylorhiza incarnata subspecies, and they have fewer individual flowers. The lips of the pink flowers are also different and have darker, broader and more clearly defined markings. Outside Ireland the Leopard Orchid is also known in several European countries including parts of Scandinavia. 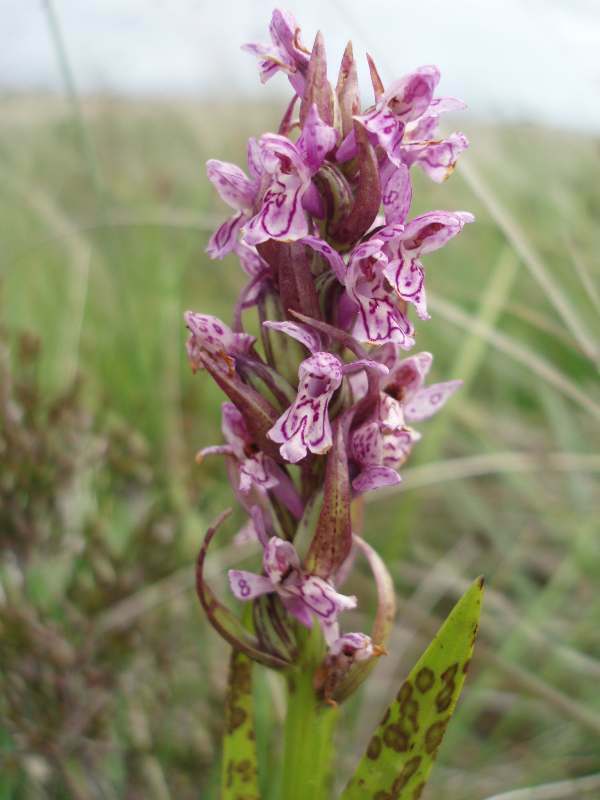 This orchid has also been recorded from an area near Ullapool, in Scotland. Dactylorhiza incarnata subsp. cruenta grows in marshy, calcareous grassland which is wet throughout the year. The Leopard Orchid flowers from the end of May until the end of June. The specimen shown above was photographed in the Burren in mid-June.